Please click on image to enlargen, this is an average sample only. Your monitor settings may affect appearance. Description: Butterfly Cream granite is a grey-pink migmatitic gneiss with a lot of movement. This stone internationally may be nominated as a granite however in the area of application of the European Standard this stone must be nominated as a gneiss. The veining and colour varies and a small sample of Butterfly Cream granite may not be representative of the whole slab therefore swatch samples must be approved for large projects to ensure that the blocks are all extracted from the same quarry face for matching purposes. During the polishing process a clear epoxy resin filler may be used to fill any micro fissures or tiny pitting however this does not affect the integrity of the stone, it merely provides an even smoother surface finish. Butterfly Cream Granite is suitable for both interior and exterior use futhermore is frost resistant and with a constant polish. Products: Suitable for construction projects both commercial and domestic, prefabricated countertops/worktops, vanities, tiles, backsplashes, paving, fireplaces and memorials. 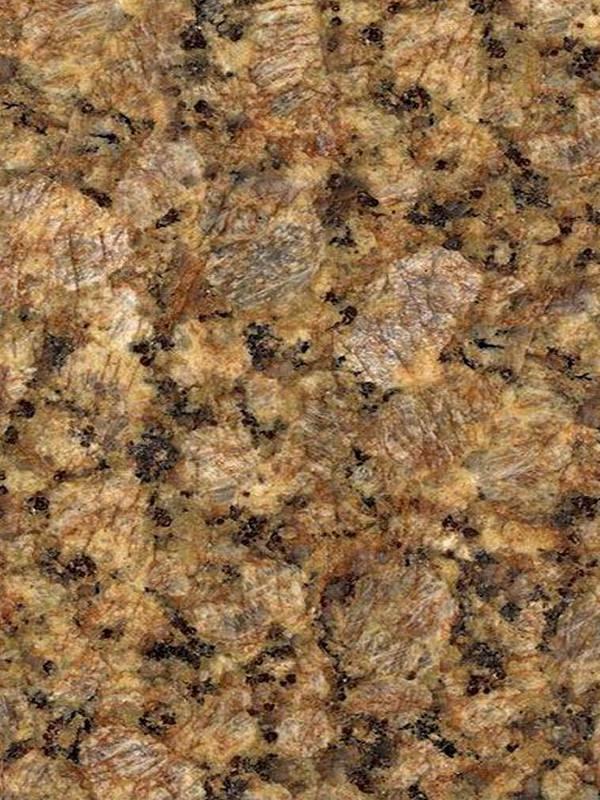 Surface Finish: Butterfly Cream Granite looks best with a gloss polished surface but is also available as honed, leather/satin, river-washed/antique, thermal/flamed, brushed and sandblast finish. Sealing: Test with a small sample. It is possible that a sealant can be used on Butterfly Cream granite however excessive attempts at sealing it could actually create a residue film build-up. Block Sizes: This is a quarry yielding selectable, grades of granite with blocks suitable for gangsaw size down to economical tile-sized blocks. For commercial projects it is important to ensure that blocks are selected from the same quarry face. Rough blocks are usually exported by Break Bulk however intermodal containerisation is available at extra cost. Finished products are packed into sea-worthy wooden crates and loaded into containers. Quarry Location: Butterfly Cream granite is quarried in Brazil. Granite: A coarse or medium-grained intrusive igneous rock that is rich in quartz and feldspar; it is the most common plutonic rock of the Earth's crust, forming by the cooling of magma (silicate melt) at depth. The principal constituent of granite is feldspar. Both plagioclase feldspar and alkali feldspar are usually abundant in it, and their relative abundance has provided the basis for granite classifications. In most granite, the ratio of the dominant to the subdominant feldspar is less than two. Rocks containing less than 20 percent quartz are almost never named granite, and rocks containing more than 20 percent (by volume) of dark, or ferromagnesian, minerals are also seldom called granite. The minor essential minerals of granite may include muscovite, biotite, amphibole, or pyroxene. Biotite may occur in granite of any type and is usually present, though sometimes in very small amounts. Note: These figures and details are given for guidance purposes only, no reliance should be taken as to their accuracy.